Our two feet are the only points of contact with the ground. They are under constant pressure due to footwear, difficult terrain and physical exertion. Every day, regardless of the footwear, our lower limbs undergo a great deal of stress and strain when we stand, walk, play sports and, in the case of ski boots, when the outer shell constricts the sensitive regions of our feet. Each foot has a unique role: it provides balance, cushions our every step and propels us forward. It is also an extremely complex structure, which adapts to the terrain and level of physical exertion. 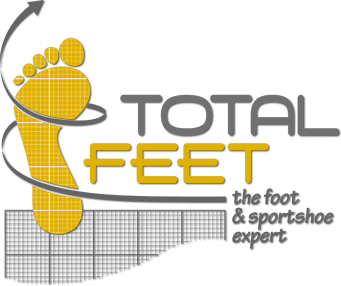 In 2007, after having worked for more than 25 years in the world of sports shoes and ski boots, I decided to create TOTAL FEET. My reason for doing so can be summarized in a single sentence: to come back to my true passion of making people happy by making myself happy. I wanted to share my expertise, my passion and my joy in giving people the chance to fully benefit from a sense of comfort and wellbeing, to continue playing their favorite sport or simply going about their daily travels. TOTAL FEET continues to operate on a small scale and prioritizes high-quality work that comes close to perfection. • A unique, one-on-one meeting during which you watch me work my magic and leave with your insoles or shoes ready for use. 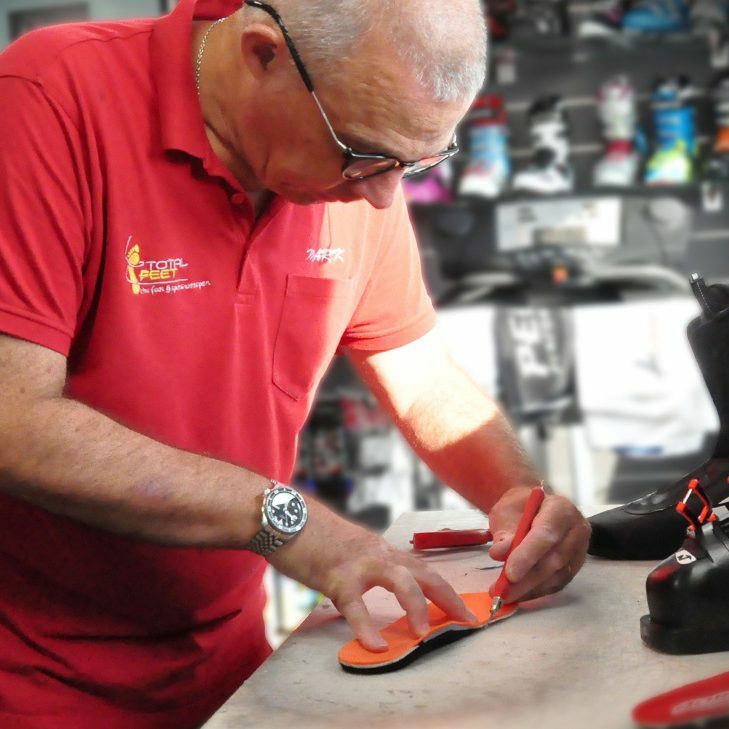 • A one-on-one meeting lasting 1h30 to prepare the insoles and up to 2h30 if buying ski boots. • Providing a high-quality service takes time: I can only take a limited number of appointments per day. Please take the time to check out my site and learn about the different aspects of TOTAL FEET. I look forward to meeting you soon. 10mn de l’aéroport de Genève-Cointrin. During working hours I focus on providing you the upmost job quality and can’t be disturbed. Voice mail : Just leave a brief message with purpose of your call with your full name and mobile phone number where I can reach you during the day and until 8pm.